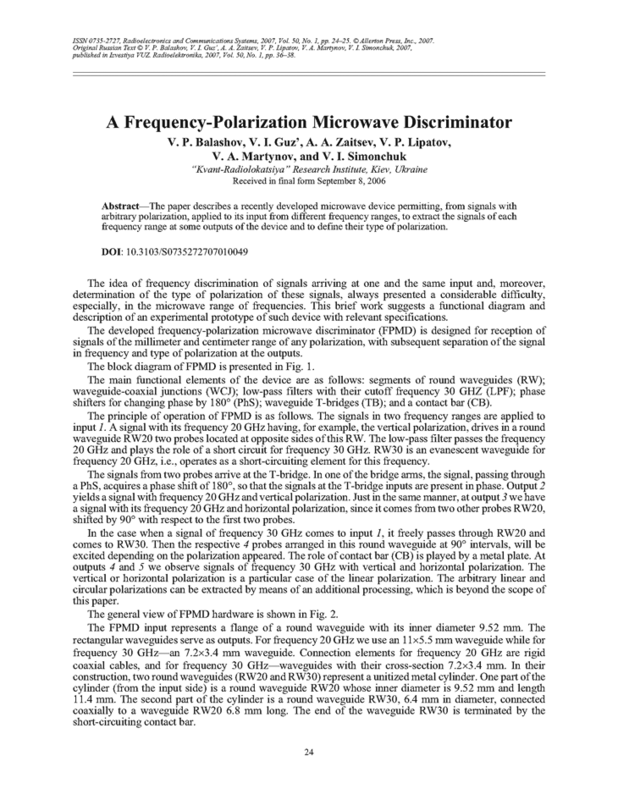 The paper describes a recently developed microwave device permitting, from signals with arbitrary polarization, applied to its input from different frequency ranges, to extract the signals of each frequency range at some outputs of the device and to define their type of polarization. J. K. Southwort, Principles and Applications of Waveguide Transmission (Sovetskoye Radio, Moscow, 1955) [Russian translation, ed. by V. I. Sushkevitch].